Think twice before you slurp up your next bowl of pho as the dish has a rich background that reflects Vietnam's cultural heritage. Pho – that delicious Vietnamese beef noodle soup – has been on the rise lately, not just in Asia, but across the world. It’s no different here in Hong Kong as more than a few pho specialists have popped up over the last few years. 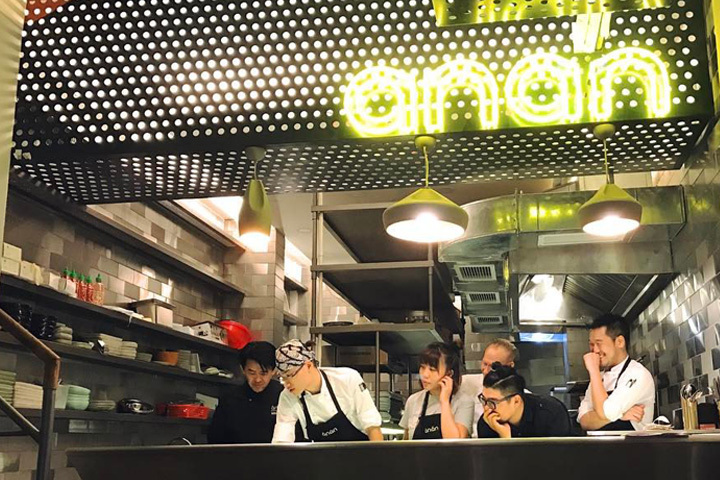 In fact, one of them, Brass Spoon in Wan Chai received its first Bib Gourmand accolade just in October last year, attesting to the quality of the options we get here. “Pho is a deceptively simple yet complex dish that is considered by many as the national dish of Vietnam,” explains Vietnamese-American chef Peter Cuong Franklin. 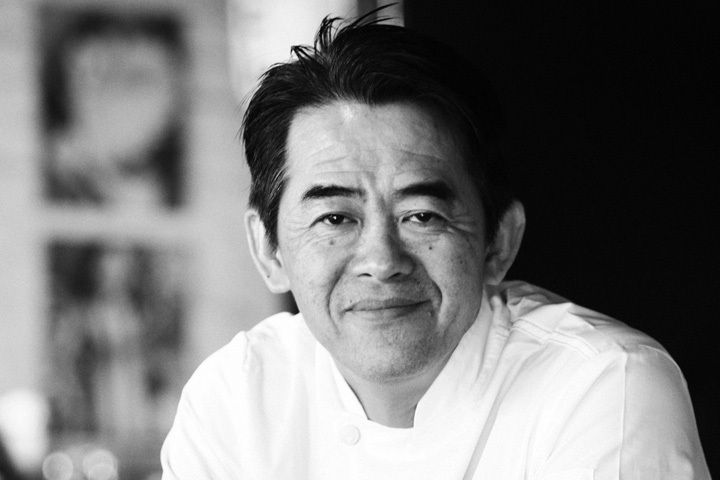 The chef and founder of Anan Saigon Restaurant in Ho Chi Minh was in town this past May at the invite of Test Kitchen to present his new dishes. A quick glance at a bowl of pho could explain why it’s often mistaken as simple. In truth, the broth is a masterpiece of complexity that’s similar to a French beef consommé. “It’s generally made by simmering beef bones, brisket, flank steak, charred onion, and spices, taking a full day or even overnight to prepare properly,” explains Franklin. This comparison is not without basis as Vietnam is at the crossroads of various cultural influences. As such, a bowl of pho is more than just a culinary creation; it is the expression of multiple aspects of the Vietnamese identity. “Due to the millennium of Chinese rule and nearly a century of French colonialism, Vietnamese language, art, culture and cuisine have been profoundly influenced by China and France,” says Franklin. A bowl of pho from Viet Kitchen. 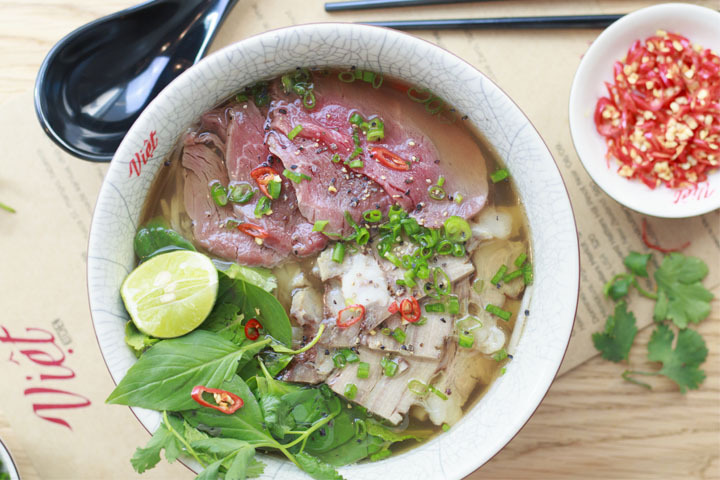 When it comes to pho, the chef believes that it started out as noodles in chicken or pork broth but the well-loved beefy version only came about after French colonisation when the meat was introduced into local diets. Then, there’s the fact that it’s enjoyed with chopsticks – a consequence of Chinese rule – and one that’s resulted in Vietnam being the only Southeast Asian country to use chopsticks as daily utensils. Even the name of the dish is said to have either Cantonese or French origin. Cantonese, French or indigenous, there’s no denying that the broth is the soul of the bowl. Most Vietnamese beef pho recipes call for braising bones, herbs and spices for long hours. An excellent bowl of pho should also use rice noodles made from quality rice grains which gives the right texture and taste. “These days, this type of noodle is found only in quality noodles shops mostly in the north of Vietnam,” explains Franklin. Such ingredients aren’t the easiest to source in Hong Kong, and while the chef is now based in Ho Chi Minh, it’s something he’s had to deal with as he was based here as he founded and run Chôm Chôm Private Kitchen as well as Viet Kitchen before moving to Vietnam. “I have to work with local producers in Vietnam to bring in specific ingredients such as Vietnamese fish sauce and fresh herbs that are not available in Hong Kong,” he explains. Indonesia's restaurant scene is at its infancy and Bali is at the forefront of it all. Here's why. Discover: Is Kuala Lumpur Southeast Asia’s Next Gourmet Destination? There isn’t a lack of top level restaurants, bars and cafes to check out in Malaysia’s capital. 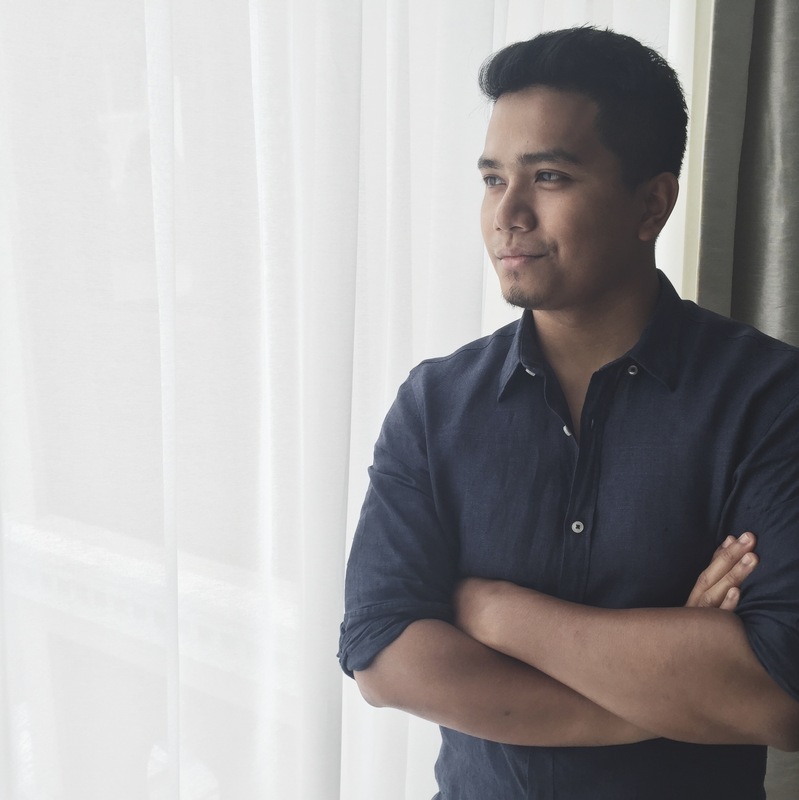 Chef Jose ‘Chele’ Gonzalez of acclaimed Gallery Vask in the Philippines takes us through the flavours of his adopted home.